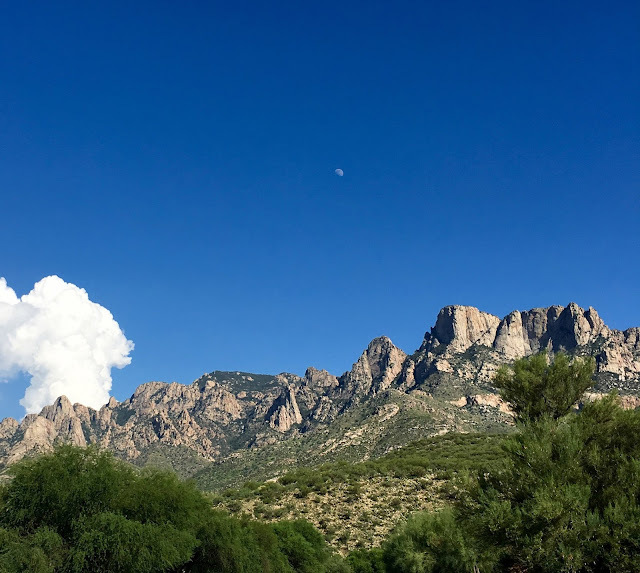 The midday moon hovering above the Santa Catalina Mountains in Oro Valley, Arizona. Ah. I was hoping you and Ed were on Catalina Island. Have you been? If not, you must go.